Gear up dear viewers for some creepy and mysterious drama. It’s the time when the makers of television industry have finally decided to give a little badass touch to the sanskari bahus and with the pinch of all new saas bahu saga, Star Plus’s new show on the plate Sarvagun Sampanna is going to take a different route and make the deal. 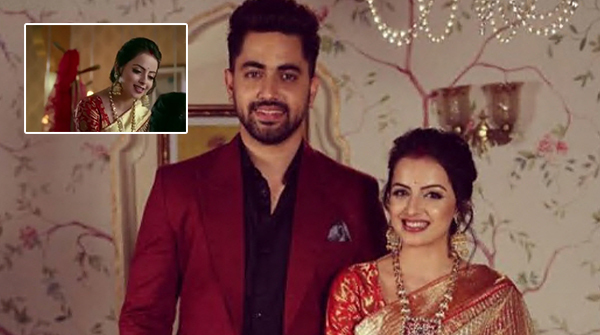 The show featuring Shrenu Parikh as the female lead and Zain Imam in the lead cast too, is out with promos and the characters are getting introduced gradually making it all the more interesting. The latest one in line is Kabir, aka Zain Imam who will be seen essaying the role of Jhanvi’s (Shrenu Parikh) younger brother-in-law. The actress shared the first look of them together on her Instagram handle, and we bet your smile would change into wonder too after you read that caption beneath! The duo has worked together for a sequence in former show Ishqbaaaz and have come together for the second time on screen. Their new venture Sarvagun Sampanna will start airing from 22nd April, 7p.m. Doesn’t sound like it will have anything new!!! !